Identify discrepancies, errors or missing information and ensure all your data is good to go! Investigate automatically and systematically checks the integrity of data across any number of platforms. Transform data doubt into data confidence today! Investigate manages data quality risk by facilitating prevention, detection and correction of data errors. The platform is a technology-agnostic solution meaning it amalgamates disparate sets of data into a single vantage point that manages data quality on a repeatable and auditable basis. 1. Simply connect Investigate to any data source. 2. Achieve a single view of data quality across your whole organisation. 3. Gain control of data quality and risk with timely diagnostics, resolutions and reporting. Break the cycle of Word documents, spreadsheets and SQL scripts! Please provide information on how we can help you. Why is Investigate right for us?  Investigate is purpose-built to meet data standards and requirements in financial services. Implementation is typically executed inside three days and we provide ongoing advanced technical support to ensure Investigate is fully utilised. Integrate any database source for business and IT systems to any number of scripts covering regulatory, legislative, fund, policy and system rules. Easily script new rules and configure scheduling to identify the latest data breakages for analysis and rectification. Review rule breakages from individual cases to trending across rules, systems and areas of interest. Assign cases to users to work through and track the progress of remediation activities throughout the life-cycle until verified as completed by automatically closing and identifying any new cases. Report on rule breakages from top to bottom through the intuitive dashboard aimed at management and the suite of visual reports for comprehensive analysis. Apply filtering criteria to fit almost any reporting purpose and drill-down through results to view individual cases reported on. Track any correspondence life-cycle from membership statements to marketing campaigns across all members. Monitor the progress, report on key events and validate the disclosed information prior to sending out to ensure the distribution of accurate information. Your organisation has disparate data inputs. Data held by superannuation, insurance, wealth management and banking organisations is inherently prone to error because it is sourced from a multitude of disparate inputs; employers, customers, advisers and more. Increasing the complexity further are multiple data inputs via digital, voice and paper channels which is then computed by systems, updated by insurers, updated by the ATO and so on. Data quality management is mandatory for success. Effective every day customer experiences are the foundation of success. Targeted marketing, artificial intelligence, operational process, audits, compliance and reporting heavily rely upon the quality of the data in use. Big data plans are foiled by misinformation. Your organisation’s competitors are aggressively pursuing sophisticated utilisation of big data. The important question is whether the data is ‘good’ before the deep dive. If it is not good, big data plans are foiled by misinformation which leads to weakening competitive advantage, reputation loss and erosion of customer trust. Rely on the integrity of your data with Investigate. How urgently does my organisation need a data quality management system? If you answer yes to any of these questions, then we believe it is worthwhile getting in touch with QMV to talk through your organisations data quality objectives and challenges. Does your organisation use Word documents, SQL scripts or Excel spreadsheets to check data? If so, do you have strict change control and audit processes, plus the expertise to maintain these checks? Is your organisation's customer data held across multiple sources in which completeness, accuracy and uniformity is vital? Is your organisation pursuing big data customer and growth strategies but not confident that the data is good enough to achieve business objectives? Has your organisation experienced data quality error that resulted in regulatory breach? Does your organisation receive large amounts of returned mail or customer complaints around incorrect personal details? Would your organisation benefit from a series of metrics that grade data quality status in real-time? It is time to do data differently. Be data confident. Thank you for your interest in Investigate. Please feel welcome to call Michael Wilcox directly on +61 472 817 237 or send an online enquiry below.